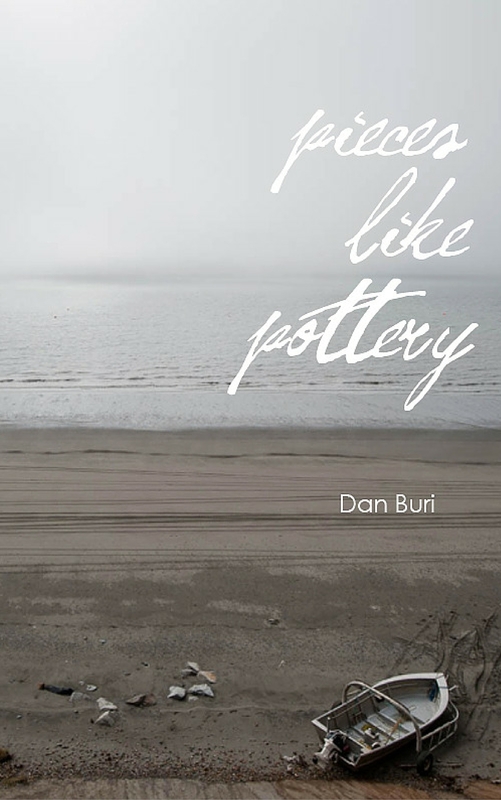 Dan Buri’s first collection of short fiction, Pieces Like Pottery, is an exploration of heartbreak and redemption that announces the arrival of new American author. His writing is uniquely heartfelt and explores the depths of the human struggle and the human search for meaning in life. 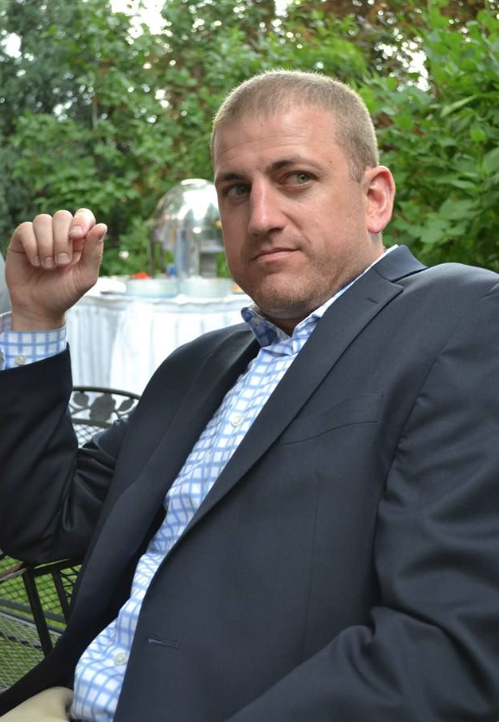 Mr. Buri’s non-fiction works have been distributed online and in print, including publications in Pundit Press, Tree, Summit Avenue Review, American Discovery, and TC Huddle. The defunct and very well regarded Buris On The Couch, was a He-Says/She-Says blog musing on the ups and downs of marriage with his wife. Mr. Buri is an active attorney in the Pacific Northwest and has been recognised by Intellectual Asset Magazine as one of the World’s Top 300 Intellectual Property Strategists every year since 2010. He lives in Oregon with his wife and two-year-old daughter. Between the two notebooks was a sheet of paper. At the top it read: “40 Tips for College and Life.” On the last week of high school, Mr. Smith handed out his college advice, the same college advice I was now holding. I sat and read through each of them. Life’s too short to not seize the opportunities with which we are presented. Always take the chance to do what you love when it comes along. Question those who question authority. Don’t be afraid to see dinosaurs even when everyone else around you doesn’t. Be kind. Kindness can change things far beyond your wildest dreams. They say that absence makes the heart grow fonder, but it’s kindness that makes the heart grow softer. Be quick to show compassion and empathy. Don’t dress like a bum all day long. Have a routine, but avoid being routine. We are all intelligent, thoughtful individuals. Don’t let others tell you something has to be that way. It doesn’t. The world is far too complex for it to have to be that way. Be conscious of the present. Time is your most valuable asset. It’s easy to doubt. Don’t be easy. Hold on to faith and hope. Love a little more. You can always love more. Don’t jump at the first chance to go out. There will always be another party. It’s college. Not everything you do has to have a purpose. Folly can be quite satisfying. Don’t act like you know more than you actually do. There’s no shame in admitting you don’t know the answer. Remember that the things you do know are of value. Don’t act like you know less than you do. Share your knowledge. Don’t spend each day only staring at a screen. Put down your phone. Close your laptop. Turn off your TV. Share laughter. There’s far too much that’s funny out there to take yourself too seriously. Share tears. There’s far too much pain and hurt out there not to take others’ struggles seriously. Remember to get lost in your mind from time to time. Don’t be afraid to be alone. Everyone knows: “Not all who wander are lost.” Few realize: Not all who are alone are lonely. Take in the beauty of nature. Look around you. Don’t take it for granted. Take in the beauty of mankind. Look around you and see how wonderful your neighbor can be. There will come a time in college, and in life, when you are presented with decisions that compromise your values. Know how you will respond to those times before they ever happen. Share excitement when you’re excited. People that hold that against you are most likely projecting their own feelings of inadequacy. Remember to read, and something more than a blog. Pick up a book from time to time. Laugh hard, kiss softly, disparage slowly, and forgive quickly. Eat fully, drink deeply, and always remember to give often. Decide what you believe, know who you are and live accordingly. Don’t apologize to anyone for that. But if you realize later on that you were wrong, admit it. Ask forgiveness. Maya Angelou has a great quote: “If I’d known better, I’d have done better.” We can only do the best we know how, but there’s no excuse for not striving to attain the know-how. And there’s certainly no excuse for not doing better once we have it. I stared at the list thinking about how influential Mr. Smith was in my life. At a time late in my high school career when I felt lost and alone, he inspired me to believe life was full of wonder and hope. Now, just two hours before, I found out he was dying. I placed the list back into its box and slid into the front seat of my borrowed car. It was 4:25 in the afternoon and I eased the car onto the I-84 heading east, on my way to say goodbye to my beloved teacher one last time. This entry was posted in Contemporary, Drama and tagged author bio, book promo, contemporary-fiction, Dan Buri, drama, excerpt, Pieces Like Pottery, short stories, stories of loss and love.